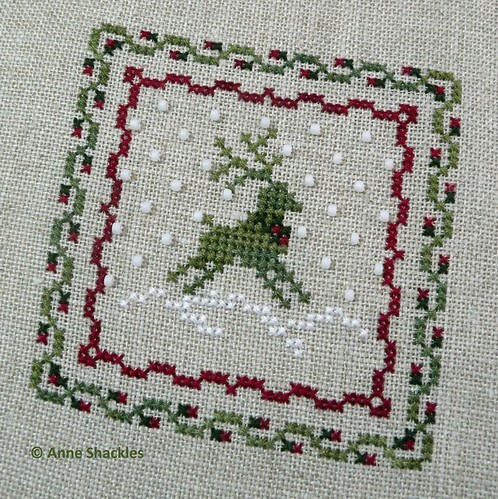 That means I’ve now stitched all three designs from the Christmas Keepsakes II chart – I’ve really enjoyed stitching these ones up. Anne S • This entry was posted in Christmas Ornaments, Cross Stitch, Finishes and tagged Christmas Ornaments, Cross Stitch. Bookmark the permalink. I love your Reindeer finish. Very pretty. I hope your back is feeling better soon. That can certainly keep you down. Sweet finish! Sorry about your back pain, hope you are feeling better soon!